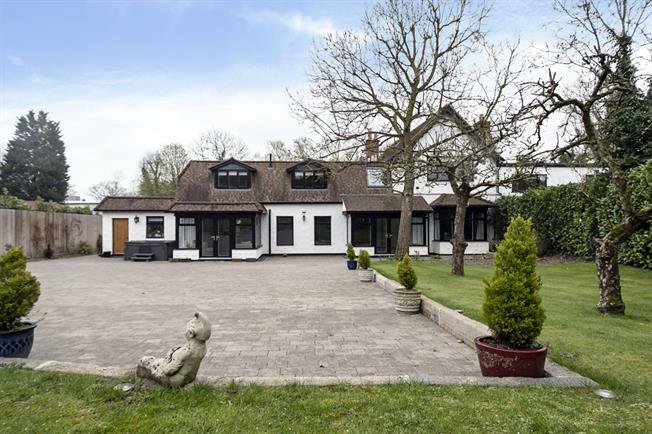 6 Bedroom House To Rent in Stanmore for £6,500 per Calendar Month. A beautiful six bedroom cottage located on private farmland in the heart of Stanmore. This unique property offers five double bedrooms all with en suites plus an additional office room. The fully fitted kitchen offers 1000sq ft of space with fully functional range cooker, built in appliances and separate pantry. There is under floor heating throughout as well as air conditioning in three primary rooms. There is parking for 6-8 cars, a garage and some of the houses features are dated back as far as the 1700's. This fantastic property is like no other, offered furnished or unfurnished and is available now.